I often see parents posting photos of their children calling them "precious angels". At the same time, I tend to wonder why their love is only directed towards their own children or family? I would think that having a child would be such an enlightening experience, that the parents would realize the beauty of this universe, and what unconditional love is, especially because the child is so dependent and unable to do anything without the mother's love and care. In spite of being a child or having a child, why are we lacking so much compassion towards others, and especially animals? Do we have to reach the point when we see a loved one suffer so much that we are forced to learn the art of compassion? I have learned compassion through my own challenges. And, today this is the most important virtue I focus on cultivating within myself. Compassion is a continuous work in progress for me, but this thought often makes me wonder. 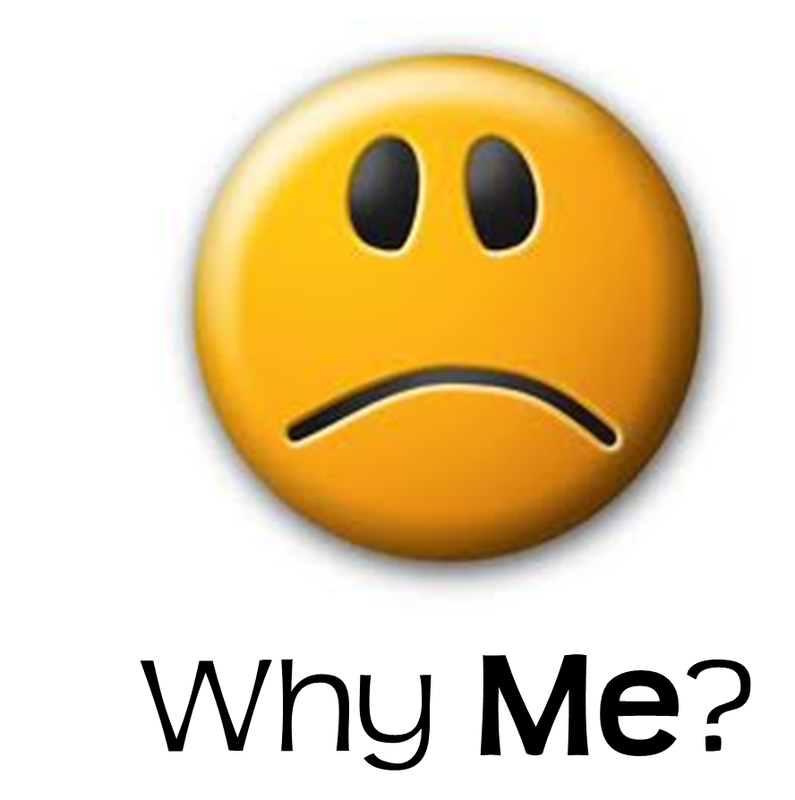 Have you ever wondered why some people are just plain rude, always frustrated, constantly complaining, and blaming everyone else for the problems in their lives? Their presence and speech is extremely negative which makes us avoid them as much as possible. Even if we don’t personally know them, we can sense the bitterness. They may be shop owners, teachers, or a random person in line in front of us at the supermarket. You may have noticed that such folks often interact amongst themselves, which is acceptable, until we need to interact with them. It then becomes frustrating, and soon enough their behavior influences us. It can be observed that the early years of this group of people may have been quite challenging. They may have had to, and continue to struggle with family, health, finance, careers, or relationship issues. As this persists without any hope of a resolution, their attitude begins to turn bitter. There is a limit to how much pain a person can endure, no matter how much patience or persistence one has. It becomes even more difficult when they notice that their friends and family are progressing with less effort, while they continue to strive and burn themselves out without seeing any results. Very often we condemn this behavior and avoid interaction with such people. We respond to this type of behavior with exactly the same attitude that is projected. Instead, it would be wiser for us to understand what has triggered this behavior in them, which can assist us in guiding them and transforming their attitudes. We all struggle with challenges in our lives, even though some have a higher coping ability than others. These challenges are meant to help us become better, not bitter human beings. Each one of us is a like a diamond, and if we are agitated and irritated by every rub, which is disguised in the form of a problem, we cannot be polished, and will not evolve beyond the bitter state that we reflect. If we have become bitter human beings, one way to overcome this is by changing our perspectives. It’s clearly evident that those who are responsible, trustworthy, and capable are the ones that are ‘offered’ more challenging roles. So, why don’t we consider ourselves blessed instead of doomed? This simple change in perspective will encourage us and continue to fuel our will power to persevere under any condition. In addition to the change in perspective, expressing the attitude of gratitude is extremely powerful, and is an instant cure for bitterness. 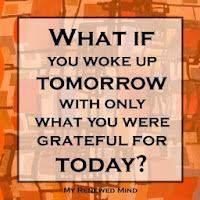 By changing our focus from the negative to the positive we will realize how lucky and blessed we actually are. However, the challenge is to remind ourselves to switch our focus while we are in the negative state. 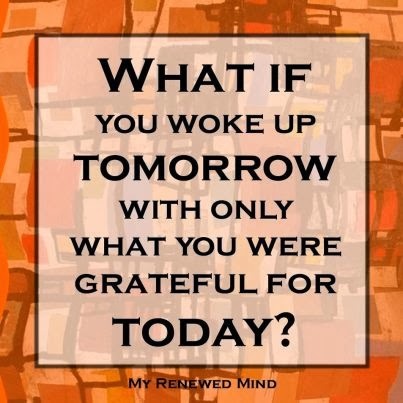 To achieve this, it is crucial to make gratitude a part of our daily routine. Maintaining a gratitude journal is the most powerful technique to remind us how blessed we are, and to refrain from the habit of constantly complaining. Every night, before going to bed, we can review the activities of the day and write down the events and people that we are grateful for. We can take this a step further, and write down the tasks that were accomplished on that day, and the tasks to be completed on the following day. This will not only lead us to more happiness, but it will also increase our productivity. This is a simple and effective technique, that we can start doing right away. Gratitude is the healthiest emotion and we must constantly express it in order to transform our lives. The fact is that problems will never cease to exist, but our bitter behavior can. We can remind ourselves that when there is ease and simplicity in our lives, it is because of the lessons we have learned through our experiences over time; however, when we face obstacles and resistance, it is because there is more to learn. Finally, we will realize that the goal of life is to learn and grow. Therefore, with a positive attitude let us consider every struggle to be an opportunity to become better and humble human beings. Since the past few years, I have had several spiritual visions, interactions, and healings from beings of higher consciousness in my dreams; such as Shirdi Sai Baba, Sathya Sai Baba, Lord Shiva, Krishna, Guru Nanak, Lord Shani Dev, etc. In this blog, I will share details of many of these dreams as well as the insights that I have received. Yesterday, I visited the Sathya Sai Baba centre for His birthday celebration bhajans. While I sat there listening to the bhajans, I had a feeling that I would experience something in my dream. Although, I was not completely sure. Around 4am this morning, Sathya Sai Baba appeared in my dream. He was extremely tall and walked towards me. I was surprised and very happy to see Him so I walked towards him to bow down. He did not say a word, simply blessed me, and I woke up. As always, when I have such experiences in my dreams my heart rate rises and it’s difficult to go back to sleep. 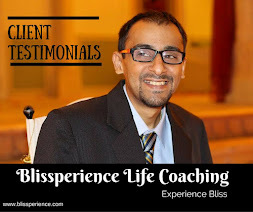 This experience reminded me of a dream interaction with Sathya Sai Baba I had several years ago. I hope you enjoy reading it. March 2, 2007, 5:30AM, Taipei– I saw a flash of lightening, time froze, and Sathya Sai Baba’s picture flashed in several bright colors. I was astonished and could not figure out what was happening. I thought to myself: "what was that lightening flash, a flash of awakening, or is this what people describe as one of Satya Sai Baba’s miracles?” Once the colors stopped flashing, I saw Sathya Sai Baba wearing a blue robe standing in front of me. He was very tall and his hair transformed into a triangular and then a square shape before returning to normal. I was simply standing there as a witness, confused as to what had just happened. I did not feel any love as one would expect, nor did I feel any emotions of guilt, fear or joy. I walked towards him, bowed down and touched his feet. I then took a few steps back to take a better look at him since he was extremely tall. I joined my hands and said "I do not have any questions to ask you, but do you have a message for me?" He walked towards me, bent down, placed his hand on my chin, looked directly into my eyes and said five words in a language that I did not understand, and then disappeared. I stood there thinking to myself "What? Baba, wait! I don't understand your message; it’s not in English”. A moment later, I woke up. The next day, I shared this dream with a devotee of Sathya Sai Baba, expecting him to decode the message for me. Unfortunately, the five words were not the numbers to the next week’s lottery, as I had hoped. The five words were Sathya Sai Baba’s virtues by which we should live our lives: truth, right conduct, peace, love, and non-violence. Prior to this dream, I visited Puttaparthi only once, and had a chance to see Sathya Sai Baba from quite a distance. I realized that distance was not a limitation to experience his grace. 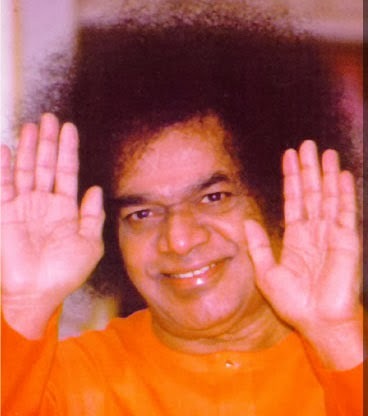 Even though, Sathya Sai Baba is no longer in his physical form, he can cross all boundaries of existence and connect with us, if we simply invoke for his blessings. His purpose is to elevate the consciousness of humanity, and he will creatively reach his devotees to spread his message in ways that we cannot even imagine. I believe the vision of Him in my dream this morning has reminded me of the wonderful feelings that we have experienced through his grace and to continue living by the five virtues that he has shared with everyone. In 2009, after several eye surgeries, I was devastated to realize that I may not have 100% vision again. It seemed as though my life had ended at the age of twenty-nine. In fact, I believed that I would have been better off if my life would have ended, instead of having to live with low-vision for the rest of my life. I was under thirty, living in an amazing city, had a wonderful career, and great hopes for the future. All of my hopes shattered in an instance. Questions began to arise in my mind such as, how would I live a life dependent on my parents? Which company would hire me? Who would marry me? Who would take care of my parents when they age? Who would take care of me when I age? All these answers were unknown and I was feeling a deep level of uncertainty. The repetitiveness of these questions resulted in a serious state of depression; to be more precise, suicidal depression. 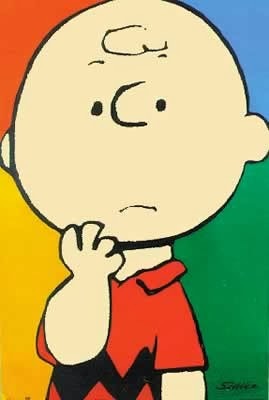 If I heard of any deaths on the news, I would feel so unfortunate that I wasn’t one of those victims. Over time, I passed through the different stages of grief such as denial, anger, depression, and finally acceptance. Reaching the state of acceptance is extremely difficult, and many people in similar situations either do not reach this stage, or take a lifetime to reach it. Acceptance may sound simple, but it is not a destination to reach; it’s a journey. It is only after accepting the situation that we are able to motivate ourselves to continue. Acceptance allows us to move from the question “why me?” to “why not me?”. 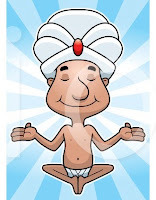 It empowers us to dig deep within our subconscious and far beyond the super-conscious. This means digging out limiting beliefs and fears, and searching for the truth. 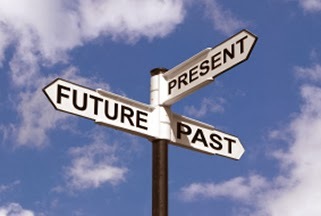 The answer we usually hear from the world is that the unfavorable situation is due to the negative karma of the past. Moreover, the subject of reincarnation also surfaces, because we are unable to remember any negative action in this lifetime that was so intense. Society dictates that due to our positive and negative karma, we are forced to take birth on earth to suffer the consequences or enjoy the benefits. And only, after we neutralize both the positive and negative karma, we can attain liberation from the cycle of birth and rebirth. Instead of this, another approach seemed to make more sense and offered me more clarity. The purpose of life is expansion of the soul, and this growth may only be achieved through overcoming adversity. The soul has a desire to express itself, and it can only do this through a body and the mind. This is why it chooses to incarnate on earth. It also selects the parents that will offer it the opportunity to express its desires, as well as fulfill the desires of the parents. It is a mutual understanding on a soul level. While expressing its desires through the mind and the body, it generates the positive and negative karma. Karma is not designed to punish the soul based on its negative actions. It simply teaches the soul that some actions can cause pain and suffering; and in the future, the soul should choose to act positively. Through the lessons taught by negative karma, we gain wisdom, and cultivate love, compassion, and a sense of unity. Consider the world as a stage and all of us actors. Would you want to play the same role in every lifetime? Of course, every actor wants to attempt a variety of roles so that he can measure his potential. This is why sometimes the soul chooses a role of a hero, a villain, a comedian, or a physically/mentally disabled person. Does this mean that because you chose the role of a hero, you have more positive karma, and because you chose a role of a physically disabled person, then you have negative karma? Haven’t we noticed in so many movies that the best actor award goes to the individual who plays the role of a physically or mentally challenged person? I invite you to consider this idea when you encounter challenges in your life. You are simply playing a certain role, and your job is to play that role in the best way that you can. I have chosen the role of an individual with low-vision, and I am going to play this role so well that I win an award for performing in the best way that I could with all the abilities and limitations that I chose. By viewing life from a broader perspective we can also gain a tremendous amount of clarity. When we realize that we have lived many births, this one lifetime does not seem so serious. Imagine taking a test of fifty questions, and if you answered two questions incorrectly, would it be a big deal? Similarly, if you have lived fifty lifetimes, and two lifetimes did not go so well, is it a big deal? We all face challenges in life, and will continue to do so. This is the nature of existence and the key to our expansion. However, because we do not accept our current situation, we slow our growth. I encourage you to view life from a broader perspective, and play whatever role you have chosen to the best of your ability. Through this mindset, you will find the purpose of your life and make a significant difference in your life and those around you. Once we start encountering challenges in life, we are encouraged to pray more. Chanting, singing, reading the holy texts, and visiting temples become mandatory, because we must please the deities. The deities were always portrayed as extremely powerful, and if we did not follow them by being vegetarian on certain days or by being virtuous we would be punished. On the contrary, at the same time we were taught that these deities were very compassionate and forgiving. How was it possible for any compassionate deity to punish? Without questioning these beliefs, I continued to pray and live a virtuous life out of fear of punishment. What other choice did I have, all I was exposed to was witnessing my family members sitting for hours in the temple reading the same holy text every single day. I always wondered, why would God want someone to recite the same holy text every single day, and especially a text that God Himself has written? Would you want your child to read your book to you robotically everyday, simply out of fear of punishment? Clearly, there is a deeper meaning for this practice, but that did not seem to be the intention or understanding. I could say that I was raised religious, but not spiritual. Spirituality is a seed that stems from within us when we realize that in spite of all our efforts, we are unable to find happiness. In my late twenties, I encountered major challenges with my vision, and had to go through several surgeries. 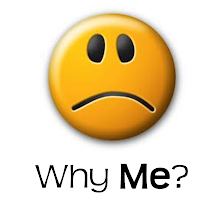 To make matters worse, I was made to feel guilty that it was due to a return of my karma as punishment. I could not remember anything that I had done in this lifetime to deserve this. So, I was told to pray. But pray to whom? I knew the names of all the deities, but because I mostly prayed to them out of fear, I could not face them. After all, I was being punished, right? This is when I remembered that the deities were compassionate and forgiving. However, this time I did not want to communicate with the deities, I wanted to talk to God directly. No one in my family had ever communicated with God directly, it was always through some deity. 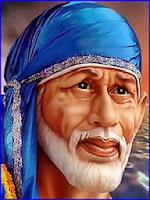 I felt a resonance with Shirdi Sai Baba, so I figured that He would be my bridge to God. This was the first time in my life I felt that I was communicating with God. I did not chant His name or read His scriptures back to Him. All I did was talk to Him as if I was speaking with my father or my best friend. I poured my heart out to Him, and questioned every belief that I was raised with. It was only a matter of days later, that I started receiving my answers. The biggest misconception I had was that I was being punished. I was visited in a dream by Krishna and Shirdi Sai Baba, and was told that I had to go through these challenges, and that they were holding my hand at every step of the way. This was extremely comforting and insightful. Since then, I have had numerous interactions with beings of higher consciousness and gained insights that have transformed my life. In future articles, I will share details of many of the interactions and insights that I have received. I would like to share my insights with parents who are forcing their religious beliefs upon their children. We must encourage our children to form a relationship with any single deity, the universe, or the supreme God. Through this honest and direct communication let them discover for themselves who God is and what it means to them. How can we expect our children to recite the name of God when they do not even know who He is? It is by example, that we can teach them to live a virtuous life. Many children these days are going astray because they cannot be completely open with their parents, because of the fear of judgment and punishment. And to make matters worse, children are also taught that God punishes. So, whom are they supposed to turn to when they need help? This leads to the wrong company, bad habits, and peer pressure. As parents we may say that we love our children unconditionally, but we do not. No matter what our children do, we do get angry and upset. And even though we give our advice, it is tainted with judgment. 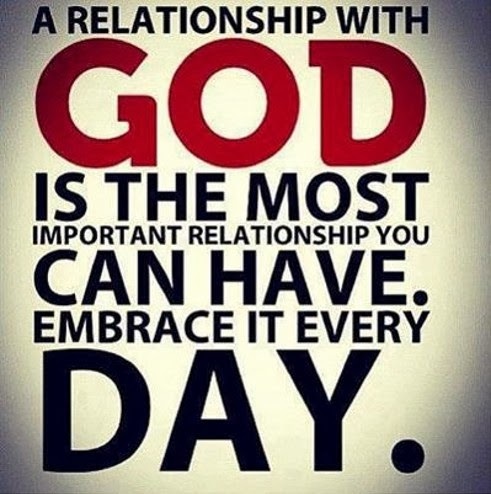 A relationship with God is the purest and most compassionate relationship we will ever experience. God can play the role of a father by offering guidance, a role of a mother by being compassionate, and a role of a best friend by being supportive. I encourage you to forget all the beliefs that you were raised with, and form a clean relationship with God. 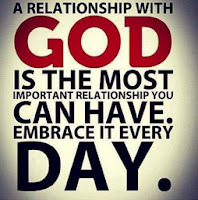 Similar to any other relationship, forming one with God requires an investment of time, effort, patience, and trust. I assure you that this will be the most empowering relationship that you will ever experience.